Local 74 Benefits Office was created to manage the benefits for our members and their families. These benefits long included a health plan, a Defined Contribution and Defined Benefit Pension Plan. Thank your taking the time to review the list of our contractors. Our contractors are all licensed and bonded and take pride in every project they work on. Please contact the union office for further inquiry. Please log in to access the Members Only sections. The username is your last name and the password is your UA Card Number. Thank you. Welcome to the website for UA Local 74. We are a union of highly skilled plumbers and pipefitters that work in New Castle and Kent Counties in the State of Delaware. Our union is part of the United Association of Plumbers, Pipefitters, Welders and HVAC Service Techs. 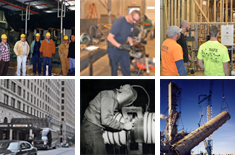 Through this website we hope to showcase the highly trained and skilled workforce we provide. If you are looking for qualified piping specialists to perform industrial or commercial work in the state of Delaware, please consider hiring our mechanical contractors to build or maintain your facilities. Our work force will do this work in a professional manner and get the job done on-time with quality craftsmanship that our customers expect.